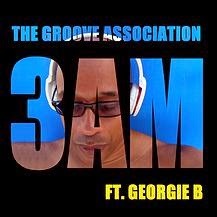 Saint no stopping us the new track from UK Funk and Soul impresario Georgie B with The Groove Association. Damn this joint is funky and most importantly can be danced to. Following hot on the heals of the group's album, 3AM that drew them praise last year. This is a great track that will be released on Feb the 27th. If you haven't already pick up the group's last album 3AM. Georgie B will also be performing on St George's Day (of course), 23rd of April at the legendary Jazz Cafe. Grab your tickets here. Check out the video for the new track below.